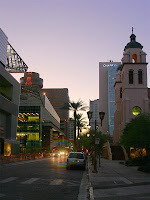 This page contains a list of websites you may find useful to learn more about Phoenix and about the State of Arizona. City of Phoenix - The official City of Phoenix site. Phoenix Chamber of Commerce - Association of local Phoenix businesses. Phoenix - Wikipedia article that covers the history, geography, and statistics. Arizona State Parks - Official website for State Parks of Arizona. Central Arizona Museum Association - Listing of more than 50 museums in Arizona. Heard Museum - World famous museum of Phoenix history and culture. Phoenix Art Museum - Home of the largest art collection in the southwestern US. Scottsdale Museum of Contemporary Art - The valley's home for contemporary art. Musical Instrument Museum - The world's largest museum dedicated to musical instruments. Arizona Republic - The largest newspaper in Arizona. Arizona Highways Magazine - This magazine has been showcasing Arizona's beauty through photos and stories for more than 85 years. Phoenix Magazine - A popular monthly publication. Phoenix New Times - The largest alternative press magazine in town. Published weekly. Arizona Roads - Complete listing of major transportation arteries with exit numbers. AZDOT - Information on motor vehicle services, road closures, and more. Sky Harbor Airport - Information about PHX Sky Harbor including maps and flight info. Valley Metro - Public transportation website featuring bus and light rail services.